AtlasIED has appointed Alex Puorro as vice president of IP endpoint development. 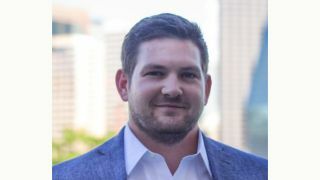 Puorro has been in the communications technology industry for more than four years, starting his career at Cisco Systems, where he was responsible for selecting and managing vendors that were invited to join the Cisco partner programs. He has worked with many business units within Cisco as well as sales teams across the globe to enable technology vendors to activate sales channels. Prior to Cisco, he worked in the finance industry with Citibank for four years while completing his MBA. In his new role, Puorro will be applying his leadership skills and channel knowledge to develop the company's current and future VoIP product strategy and global channel networks. In addition, he will be a key contributor to AtlasIED's brand initiatives to ensure the company’s continued success with Cisco and the tnformation technology (IT) industry. "Alex and I have built a close business relationship during his tenure at Cisco Systems," said AtlasIED president John Ivey. "I am very excited to bring his information technology knowledge, team building, and vendor management skills to our organization. AtlasIED has become a leader in IP endpoints. With Alex, we can take it to a whole new level."